The wheels have begun to roll really fast now that we are only 5+ weeks out from going to Detroit to record and film “The D”! First, an incredible array of fantastic locations in Detroit have signed on to let us record and film there. They go from iconic outdoor locations both on land and water to inside museums, restaurants, schools, churches, synagogues, laundromats, car washes, radio stations, pawn shops, hat shops, hotels, recording studios, yoga studios, weave salons, and more. From the largest business enterprise in the city to the smallest hole-in-the-wall restaurant “The D” is representing the most vibrant spots and folks in the city. Not to mention a slew of famous singers and musicians who hail from the Motor City and will be coming to my studio in LA to participate. I arrive in Detroit with a 12 person crew on September 9. We will be there through the end of the month in order to have enough material for the song, video and documentary. 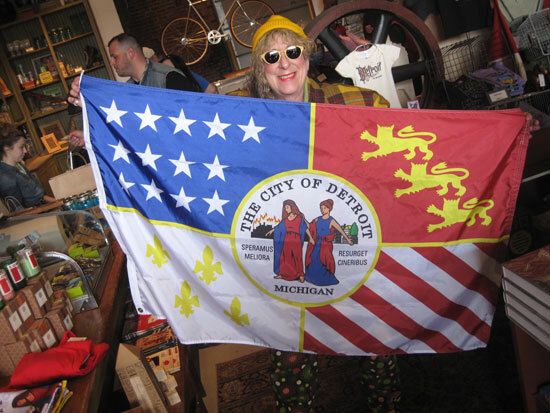 Most of us live in Los Angeles and New York and share a deep love of and belief in Detroit. We will also be picking up many local crew members, interns and volunteers once we’re there. My third night in Detroit was spent at the Detroit Historical Museum where my portrait and some personal artifacts were on display as part of an exhibit featuring 50 iconic Detroiters in Jenny Risher’s beautiful Heart Soul Detroit book. A truly incredible moment for me, whose only music education was worshiping Motown, was when I walked in to see myself featured as part of the Motown section of the exhibit. 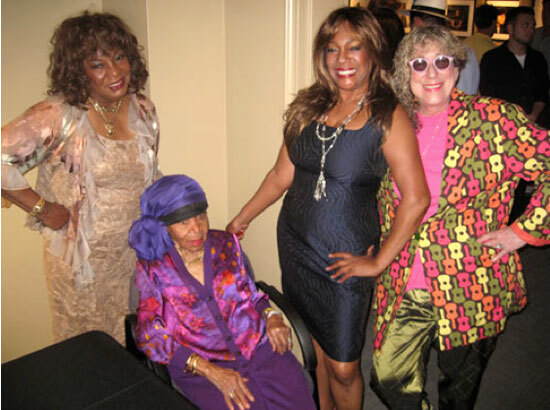 Here I am with Martha Reeves (Martha & The Vandellas), Mary Wilson (The Supremes) and Miss Maxene Powell, the Motown etiquette coach who gave the groups all their signature poise and grace. I want to especially thank the Detroit Historical Museum and the Detroit Historical Society for the great interest and support they have shown to “The D” ever since this most wonderful evening. At the end of this coming week, I’m hosting a week-long production confab at my house in LA where the director, producer and other principals will be flying in to plan the actual production schedule and figure out the logistics of such an ambitious project. We are incredibly well organized for something of this scale on the somewhat limited budget we have (and why the search for funding will continue until the very last frame of the documentary is cut). Every single person on the team now is beyond enthusiastic and ready to roll up their sleeves and do whatever it takes to get this done, my personality MO since the beginning of my career. I can’t tell you how great and inspiring it is to work inside of an energy force like this and I hope as “The D’ is realized and these updates get more consistent that that energy will uplift you as well. Once again, I want to thank everyone who so astutely and boldly donated to “The D”. I also want to thank people receiving this because you’ve signed up to participate as well as those who came to the parties at The Whitney and Vinsetta Garage. It’s that spirit that has kept Detroit going through the decades of glut and gluttony and it’s certainly the primary force in re-imagining the city now.